Web site hosting speed, uptime, and flexiblity your top concerns? Look no further than “the cloud”. One of the questions we get asked a lot is, which hosting company and/or service is the most reliable (and “reliable” usually means “up time”). In order keep this post short and sweet, we won’t go into comparisons amongst traditional (and even WordPress specific) hosting companies. Although there are still many reasons we here at Grafx highly recommend “WordPress specific” hosting for all sites WordPress, we do however want to talk the newer “cloud-based” hosting platform and why it’s awesome (at least newer to most non-web geeks). 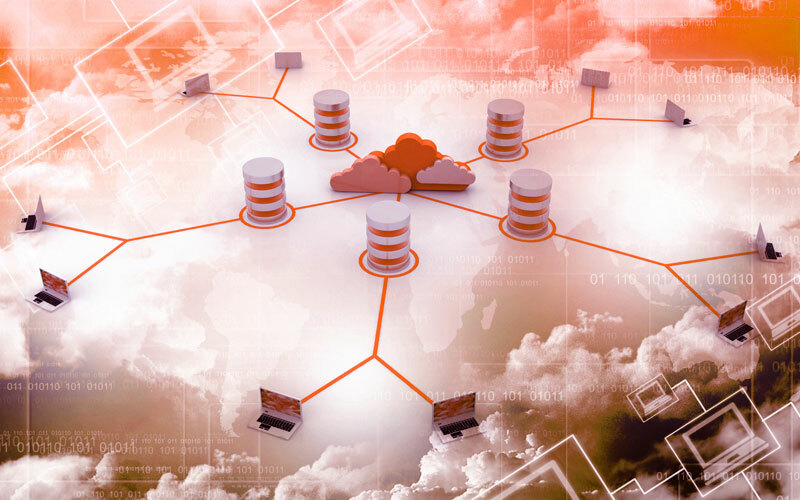 In short, cloud-based hosting hit it’s stride due to how it outperforms traditional hosting platforms in the areas of speed and up-time/reliability. Cloud-based hosting serves up your hosted files fast by utilizing what is called a Content Delivery Network (or CDN). The CDN provides quick access to awesome servers located all over the globe, thus serving up files on-demand to multiple devices from just about anywhere your site can be accessed. It’s about as “on-demand” as you can get. Speaking of “on-demand”, companies/site like Facebook, Twitter, Netflix, on-line banking and education services are all utilizing cloud-based hosting to serve up their powerful services online. Dynamic scaling and efficiency. Basically, you only pay for what you use while traditional hosting charges you a set price for a “package” whether you fully utilize the resources or not. Cost. Cost is generally cheaper for smaller to mid-size sites with low to moderate traffic and resource demands. The cost can actually get a bit more expensive for large scale sites with big traffic spikes and demanding/dedicated resources. Being that most sites fall into the first category, it’s a great option to get the biggest bang for your buck. Many large scale sites that fall into the second category stick with the cloud because of it’s superior “on-demand” speed, up-time, and resource flexibility. Guaranteed uptime. If your site goes down there is no need to panic, the cloud has you covered. In the cloud, your site actually “lives” on many different servers. This means that if one of your site “instances” goes down, then another will just take it’s place (and so on). Makes sense right? To us, Google Cloud is best (right now). Why? In short, it’s GOOGLE! You are actually tapping into their incredible, world-wide, blazing fast, secure, ever-flexible infrastructure to host your site. And we also believe they have the best pricing as well. Not only is it “pay only for what you use”, but it’s revolutionary pricing at that. And did we mention their already powerful data and analytics? Yes, you get that to. If you are interested in learning more about Google Cloud hosting, click here. There are a few other companies out there vying for your cloud-hosting business, but there’s a good chance that if you need our assistance, we are going to point you to Google first. As you can see, cloud-hosting does have some big benefits and offers up real innovation when it comes to pricing, uptime, and scaling. It can be a bit more of a challenge to manage from an IT perspective, but most of that comes in the initial set up phase. As always, it all comes down to your web site needs. If it makes sense to stick with a “traditional hosting” option, then that’s what we will recommend. Or in the case of WordPress, we still highly recommend the WordPress hosting specialists over at WP-Engine, although Google Cloud is already starting to cater to WordPress installs as well. Bottom line here is it all comes down to what your web site needs are, so a solid in-depth consultation with someone like us who knows a little bit about this kind of “stuff” is always a step in the right direction. We will do our best to help you figure out a clearer picture for your web site and/or hosting needs, or at a bare minimum get you pointed in the right direction.